ArtNr. : 608311355. Kategorie: Flöte. Schlüsselwort: Bamboo Flute. 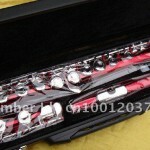 Chinese flute are called [dizi] (). 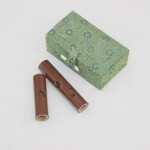 There are many varieties of dizi with different sizes, structures (with or without resonance membrane) and number of holes (from 6 to 11) and intonations (playing in different keys) in China. Most are made of bamboo, but can come in wood, jade, bone, and iron. 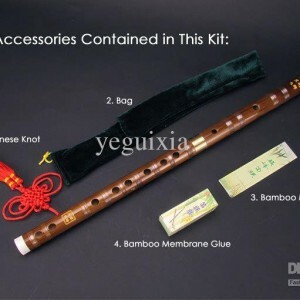 One peculiar feature about Chinese flute is the use of a resonance membrane mounting on one of the holes which vibrates with the air column inside the tube. It gives the flute a bright sound. 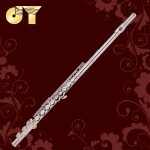 Commonly seen flutes in modern Chinese orchestra are bangdi (), qudi () , xindi () , dadi (). The bamboo flute playing vertically is called “xiao”() which is a different category of wind instrument in China.